…through the stomach, as we all know. That’s the reason I gained like a million pounds ever since I met A. Well not exactly, I probably gained weight out of laziness. Let’s face it, when you can share a huge sundae on the sofa while watching TV together instead of going for a run, 9 times out of 10 you choose the first. Just because it is easier and cozier and let’s be honest, more delicious. We all know, that a sundae AFTER a run tastes even 1.000 times better, but that is a totally different story. If you have been following me on facebook and/or twitter, you probably know by now, that today marks our four year anniversary, which, evidently, means, that the wedding is only 365 days away. Crazy, right? When I first met A I knew I would have to move back to Vienna eventually but I didn’t think about it, until I sat at the gate, waiting for boarding. 2 years later A landed his dream job in Norway and without a question we moved in together. He from Philadelphia and me from Vienna. Now it has been a year and a half and if you thought I was happy the day I met A, multiply it by infinity and you know how I feel every day I come home to A. Beyond everything A does for me, the most significant thing about A is, other than endlessly loving me and supporting me and being with me and treating me like every girl wants to be treated, that he is my personal cook. He cooks me any and everything. Not because he has to (I make a mean baked potato if I have to…) but because cooking food is his hobby. The kitchen is his man-cave and the stove his science-lab. And yes, it’s messy and the dishes are pilling up a mile high, pots and pans are simmering and sizzling, while something is baking in the oven. It is insane. The effort this man goes through, just to make one single meal, that most of the time doesn’t even survive the night, unless it’s Shepard’s Pie (A has learnt to make Shepard’s pie in a quantity that would feed families of 16 in one sitting PLUS leftovers, it is probably my most favorite meal after sliced bread with Nutella). Sometimes A makes up his own recipes, sometimes he uses family recipes, sometimes he looks recipes up online. Sometimes he has the courtesy to print them out neatly and put them in his cooking folder, other times a quick sloppy note will have to do (5 lbs tomatoes, 3 lbs potatoes, 2 handfuls of oregano… but no further information about the recipe). This made it very difficult typing off all his recipes. A few months ago I had this idea, of creating a cook book for A, with his very own recipes. My initial plan was to get rid of the folder of “recipes” that he keeps. I asked his family and friends to contribute, if they had something to contribute and all of them gladly helped me out, which made live a bit easier but having to keep this secret from A for the past 6 months has been proven to be incredibly difficult. It is not so much that A sneaks around but that I just cannot keep any surprises from him. I get so excited for him, that I want to share my happiness with him, which evidently ruins EVERY surprise I have for him… but that is a different story. So the past 6 months I have been collecting stories and pictures and recipes… any and everything that could possibly go in his cook book, trying t hide it from it, as good as possible. I kept my mouth shut, but it was definitely no easy task. 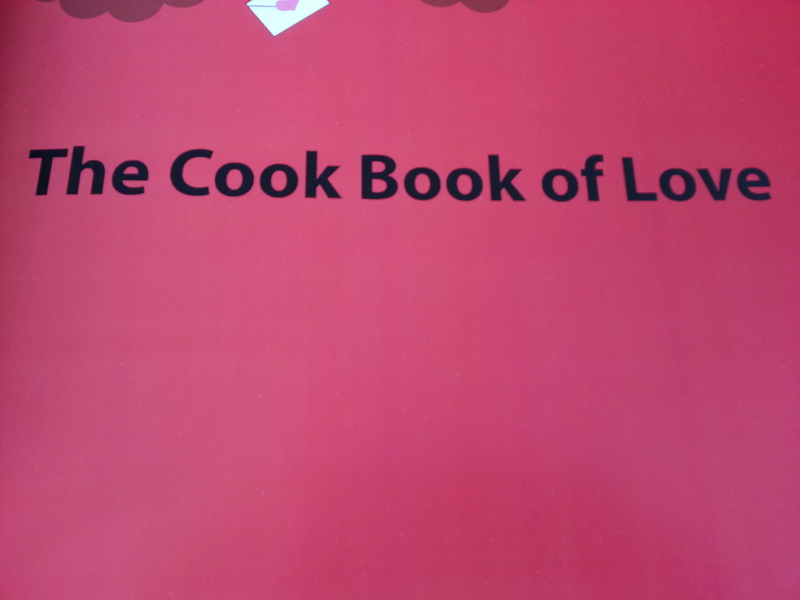 Luckily a couple days before our anniversary, the cook book finally arrived in the mail. See, A and I are not good with the whole, having to celebrate something on an exact day. Christmas we celebrate on Christmas Day morning. New Year’s we celebrate the day after, did I mention he likes to go to bed early? Valentines we celebrated 2 days in advance until 2 days after, that got kind of out of hand… Thanksgiving we celebrated two weeks later. The only thing we do really celebrate on the day that it is meant to be celebrated on are our birthdays. 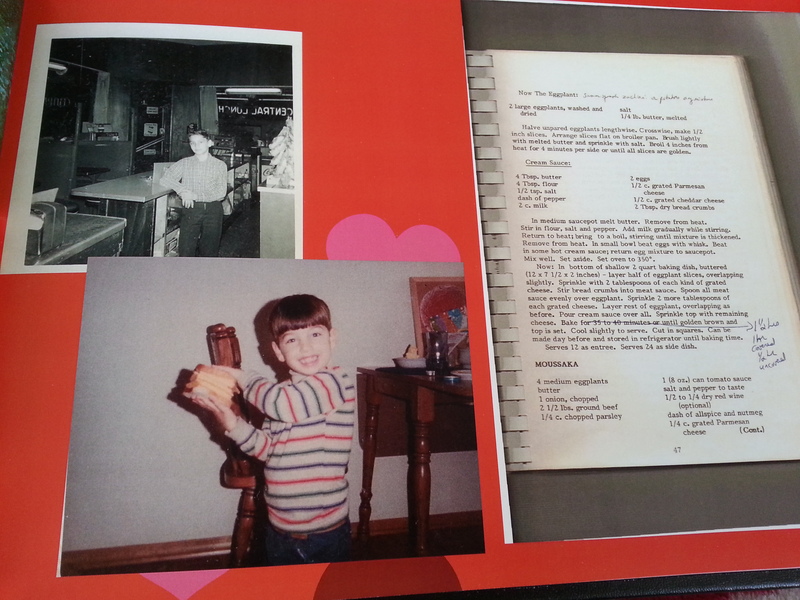 My point is, that A received the cook book a couple days before our actual anniversary and he laughed with joy. He was so excited and so happy. He carefully protects the book, he guards it with his life. And my plan to get rid of the folder of “recipes”? Well, let’s just say it failed miserably. Since he treasures the cook book so much, he does not want it anywhere near the kitchen and I cannot blame him, having seen him handling the heat. In the end it does not matter where he keeps the book. The most important is that I am with A and that after four years I can honestly say, I have never in my life been happier. I would have never imagined that everything would turn out so great for us and that I will be lucky enough to say “yes” to my best friend in a year’s time. I cannot wait to share even more breakfasts, lunches, dinners, snacks, sundaes and chocolate with my best friend. And if I can give anyone any advice on relationship, I’d say, choose someone that cannot only say that he or she loves you but also someone, that can show you how much you mean to them and if it’s with the most delicious Shepard’s pie, well then, you obviously hit the Jackpot.